Your sewing machine will thank you for taking the time to squirt a few drops oil to all it's moving parts, and oiling points! 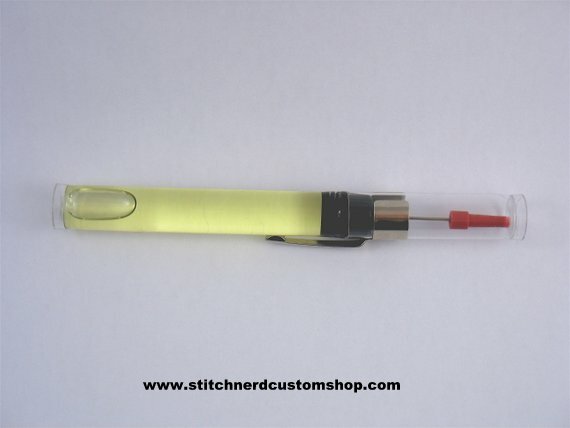 Only 1 or 2 drops is all you need each time you oil your machine; this oiling pen fits perfectly in your sewing basket. Refillable Precision Oiler with stainless steel needle, shatter proof butyrate plastic tube, pen clip, and needle guard and cap. 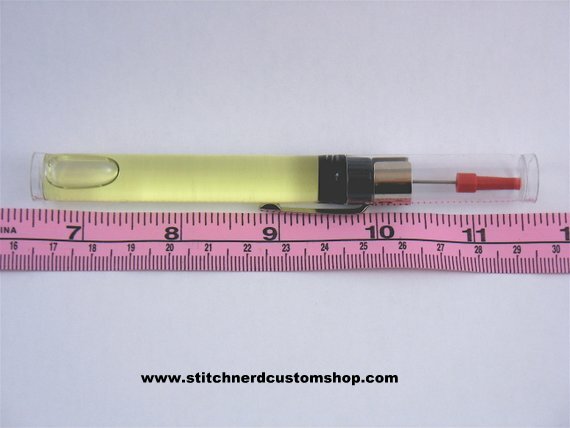 Filled with light weight sewing machine oil. Country of origin: United States.